Pakistani Army Chief General Ashfaq Pervez Kiyani has said that for American short term benefit we cannot ignore our future he was saying it regarding operation in North Wazirastan. Americans are demanding Operation in North Wazirstan but Pakistan army has cleared that we will do any operation according to our benefits and interests. General Kiyani said that we are not ready to take any dictation and we will decide when why and where we will do any operation. Now there is no need of operation in North Wazirastan. 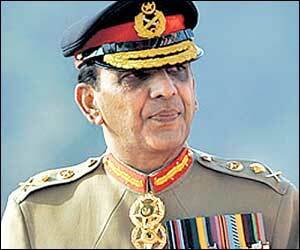 General Kiyani said that we have done very successful operations against terrorists in Swat and South Wazirastan. Pakistan army has also said that Haqqani Network is not in North Wazirastan and it operates in Afghanistan.